February 2019 - The Ideal Landscape? It depends! With thoughtful, deliberate planning, a landscape can be beautiful, sustainable and meet the needs of the most exacting stakeholder. Every good plan starts with the basics. We first need to know how a property owner intends to use the outdoor space(s). Will areas be used for employee or client seating? Some owners consider “stay and play” areas highly desirable for employees e.g. frisbee, lawn bowling. Is a healing garden a desired element? What about pollinator-friendly and rain gardens rather than turf? Are trees important to protect from wind and/or sun? What about color to celebrate each Minnesota season? These elements will become the property’s personality and may be integral to a company brand. After functionality has been addressed, it is time for science and design. We assess soil, plant and tree health. We evaluate opportunities to conserve and protect water - think smart irrigation! These inputs are melded with property function and used to provide a beautiful design and a 3-year maintenance plan to keep everything looking its best. The result is a living, breathing landscape and a style that is uniquely yours so join our land care revolution and let’s get creative! We are proud members of these organizations and are grateful for their credentialing and certification programs that help Prescription Landscape be expert stewards of our client’s properties. 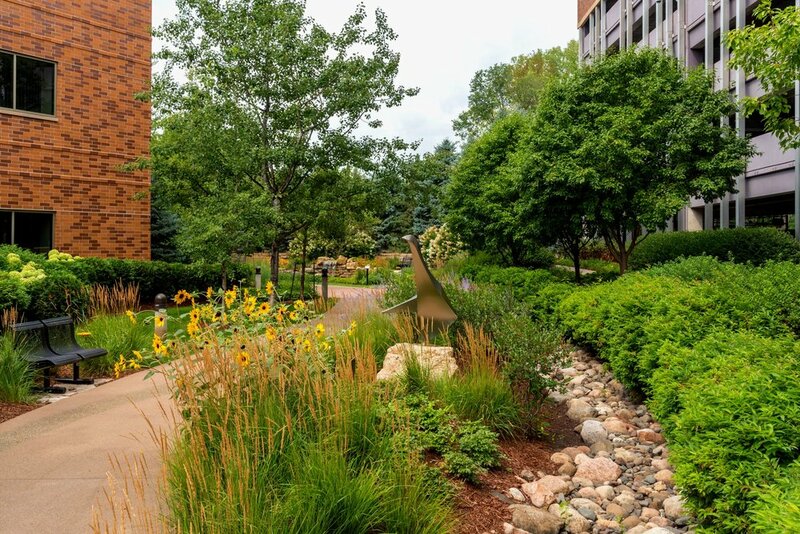 Additionally as proud members of the National Association of Landscape Professionals, we conscientiously commit to their code of professional conduct.